Every marketer pays attention to the number of opens and clicks on their campaigns. It’s a way to measure what people are responding to, how effectively the message comes across, and so on. It can help determine the budget for the next ad buy or what a social campaign will look like. Marketing is focused on getting the message out and ultimately filling sales funnels with good leads. Opens impact automated campaigns and will likely determine how leads are nurtured. Clicks-throughs may impact how effective Inside Sales is going to be when they interact with all those leads you’re generating. What if it’s not about the clicks but it’s really all about the bots? Opens and clicks on your email campaigns can be hugely important — but what if they mean nothing at all? Your email software might be reporting, and you might be reacting to, email security firewall bots because the opens and clicks in your campaign report may not represent actual human interaction with your campaign emails. As we’ve come to know through experience, campaign reports have the potential to vastly over report the number of contacts who actually engage in marketing campaigns. We’ve seen reports where the majority of reported clicks were attributed to bots. This can impact reporting, lead generation campaign triggers, ABM messaging within target accounts—and your reputation as a rockstar marketer when you have to explain the numbers. The barriers for getting your message into a B2B recipient’s email inbox are much higher than for personal email boxes (e.g., Gmail, Yahoo, etc.). Almost all businesses rely on some sort of email security firewall. That means, whether your ABM target is at a Fortune 500 enterprise, or your focus is small businesses hosted on GoDaddy, email security firewalls have the potential to impact your campaigns results. Firewalls are best practices and are built to check for malware or links to malicious websites. Email security firewalls and online services, like Barracuda Networks, use bots to scan email content and determine whether to allow the email into the intended recipient’s inbox. The scan may involve clicking and following links through several layers of web pages and then scanning the web pages themselves to find malicious content or links. If the email security bot determines there may be malicious content or links in the email, the email will be quarantined and never seen. Only when the firewall determines an email is safe, will it allow the email into your intended recipient’s inbox for potential interaction. Marketing software can and does report false opens as a result of security bots. In some cases, and depending on the level of security employed in the firewall, we’ve seen bots represent the majority of opens and clicks in campaign reports. That doesn’t mean every bot-attributed open was sent to quarantine but it can mean that it arrived in the inbox and no one interacted with the content. It’s important to understand the level of human interaction with your content, whether you’re generating or sourcing leads, before you engage them with additional resources. B2Lead recognizes and reports bot interactions with email campaigns. We use proprietary algorithms, developed over years of business-to-business email marketing, to determine whether an interaction with your email is the result of an email security bot or an actual human being. 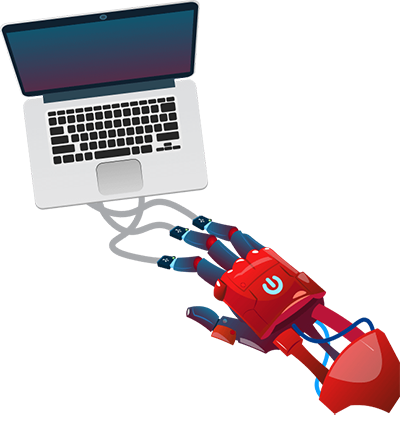 Organizations that develop email security firewalls do not typically publish their methods for screening emails so our expertise in detecting bots is something developed through hard won experience. We combine actual content engagement with bot detection in our reporting. Bot opens are flagged in results so we know the contacts that have actually interacted with your content and those that may require alternate methods of contact. Are you counting Security Bots instead of actual clicks on your email campaigns? At B2Lead, we go beyond the click to understand engagement and deliver better qualified leads. Better leads. Smarter content marketing. Get started today.